Continue to work while you study and learn acupuncture to become a professional acupuncturist. We are now accepting applications for our Acupuncture training. Enhance your practice with our Professional Diploma in Chinese Herbal Medicine. The herbalism training is available to Acupuncture and Chinese Medicine graduates and senior students. Contact us for details of next Herbal Course. TCM Professionals and students can now apply for Tuina training. Chinese Tuina is a valuable addition to Acupuncture professionals to improve their clinical treatment. Acupuncture Foundation host a number of Workshops and Seminars every year for TCM Professionals. We are now preparing a list of workshops and seminars for 2017. We will have more details later in the year. Enhance your practice with Post Graduate professionally accredited training course in Traditional Chinese Herbal Medicine. This herbal training is available to all Acupuncture and Chinese Medicine senior students and graduates to complement their knowledge of acupuncture. The Chinese Herbal Medicine professional training is delivered in 2 levels. Following successful completion of level 1 students achieve Postgraduate Certificate in Chinese Herbalism and Diploma in Medical Herbalism following completion of level 2. In order to address the changes in prescribing herbal formulas under the European Herbal Directive we have structured a post graduate training programme for acupuncturists to address the requirements of the Herbal Directive. Students will be taught properties, indications, contra indications, clinical use of each individual herbs and their place within classical formula. Students will be taught to work with and use herbs in raw, natural, and powdered formats. Herbal clinical studies are a strong aspect of the post graduate herbal programmes. Additionally students study herbal and product safety, toxicity, national regulation, ethical practice and participate in herbal clinics. The herbal medicine lectures consists of Practical studies, Clinics, eLearning and online module support. Pharmacology and Pharmacognacy module is completed at Bristol University. 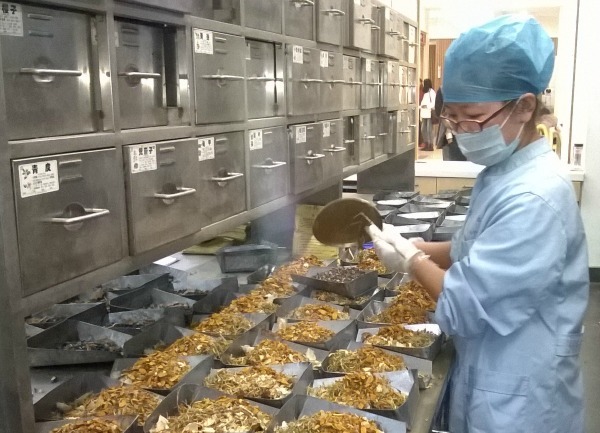 Herbal practice and pharmacy continues in intensive hospital herbal clinics at our partner university, Nanjing University of Chinese Medicine (NJUCM) in China. The Acupuncture Foundation Ireland Herbal course is accredited by ACHI (Association of Chinese Herbalists) in Ireland. ACHI is an associate member of the EHTPA (European Herbal Traditional Practitioners Association). The Herbal course is accredited by TCMAB (Traditional Chinese Medicine Accreditation Board) in United Kingdom and by NIATCM (Northern Ireland Association of Traditional Chinese Medicine) in Northern Ireland. Successful completion of level 1 leads to a 2nd year and completion of the EHTPA herbal curriculum. Professor Jin Huide has taught students of the Acupuncture Foundation since 1993. He is an experienced lecturer and TCM author with over 20 years of lecture and clinical experience. Professor Jin is regarded internationally as a master clinician. Professor Jin teaches on our Acupuncture course and on our Chinese Herbal Medicine course. Dr Jidong Wu has been lecturing at the Acupuncture Foundation since 1993. He is current head of the TCM Programme at Middlesex University. Dr Wu has published many articles in TCM journals and magazines as well as appearing on various tv and radio programmes. Dr Wu teaches on our acupuncture course and on our Chinese Herbal Medicine course. Dr Fanyi Meng is an experienced TCM lecturer, having lectured in Beijing University for ten years. He is head of the University of TCM programme at Lincoln University. In addition to being an accomplished lecturer and clinician, and Qigong. Dr Meng teaches Acupuncture, Tuina (Chinese Medical Massage) and Chinese Herbal Medicine. Professor Mei Xing has made a great contribution to acupuncture and Chinese Medicine as educator, lecturer, tutor, member of British Acupuncture Accreditation Committee, programme leader and external examiner for several teaching institutes and universities in the UK and abroad. Mei is also member of the British Acupuncture Council. External Modules lecture - Mr. Tony Harrison of the RCHM, in Bristol University Herbal Garden. All our lecturers are experienced lecturers and practitioners of TCM and Chinese Herbal Medicine. You can find out more about Acupuncture Foundation Herbal training in the short "Introduction to Chinese Herbal Medicine" video below by one of our longstanding lecturers, Professor Huide Jin. The Chinese Herbal Medicine course will commence February 2017, to apply for our next herbal medicine course please complete our Online Application Form or if you have a query please send us your question. CPD Online Specialist lectures and post graduate certified courses. Master Lecturers and Professional Credits. This website uses 'cookies' to give you the best, most relevant experience. Using this website means you agree with this. You can change which cookies are set at any time - and find out more about them - by following this Link ; Logging in to this website means that you agree to comply with the terms and conditions of the website and course you are logged in to.